We United Notions folks love Ackfeld quilt hangers. With as much work as we quilters, sewers & crafters put into our projects, we need a great way to show them off. 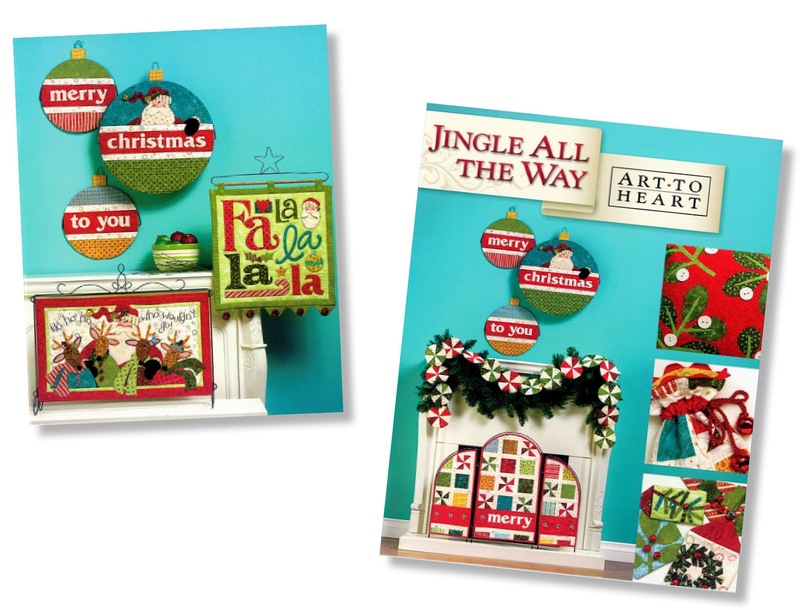 Lucky for us, Ackfeld has introduced a variety of adorable new sewing themed hangers. Take a look and let us know which one is your favorite! 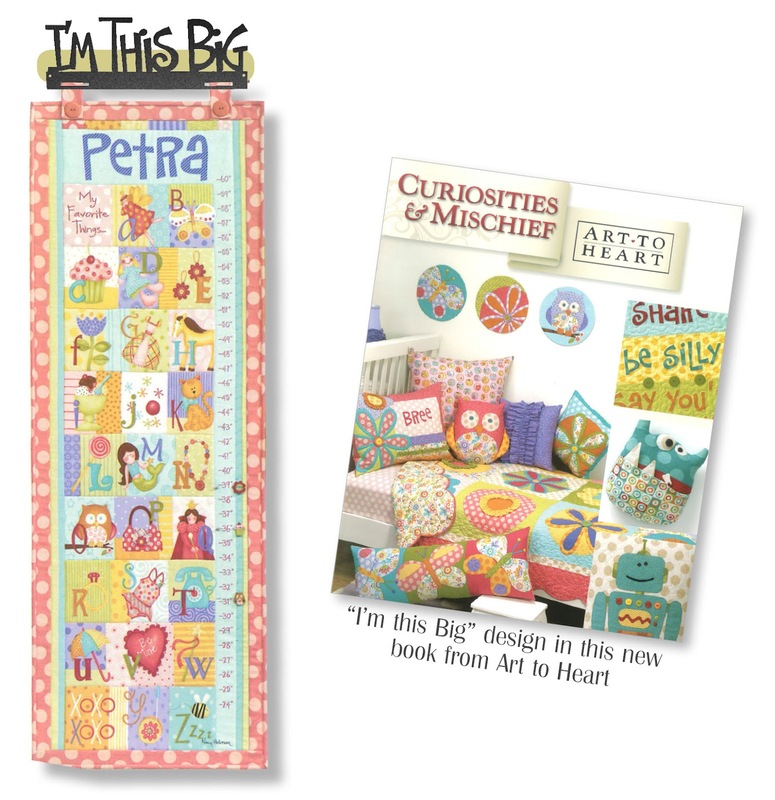 There are tons of fun ideas for your kiddos in the “Curiosities & Mischief” book from Art to Heart. Loving this ‘I’m This Big’ project & hanger! Christmas decorations in her adorable “Jingle All The Way” book! Remembering our past and days of old gives us the purpose and reason to create beautiful projects for our loved ones. All too often these projects are not admired for their quality and workmanship because they lay hidden from sight. Display those projects proudly and with the dignity they deserve. Click here to view the entire catalog of Ackfeld Hangers. Visit our website to ORDER. I love the one with the needle and thread, very cute and practical! I have to go with the sewing machines! LOVE the sewing machine hangers!! The copper “Needle and Thread” Split 12 inch. I’ve never seen quilt hanger like this one. I LOVE it, its different. Can’t choose a favorite…love them all!! I love those with the sewingmachine but the one with the snowflake is so sweet too! I like the one with the different quilt blocks. I love the sewing machine. And I like the one with the quilt blocks. 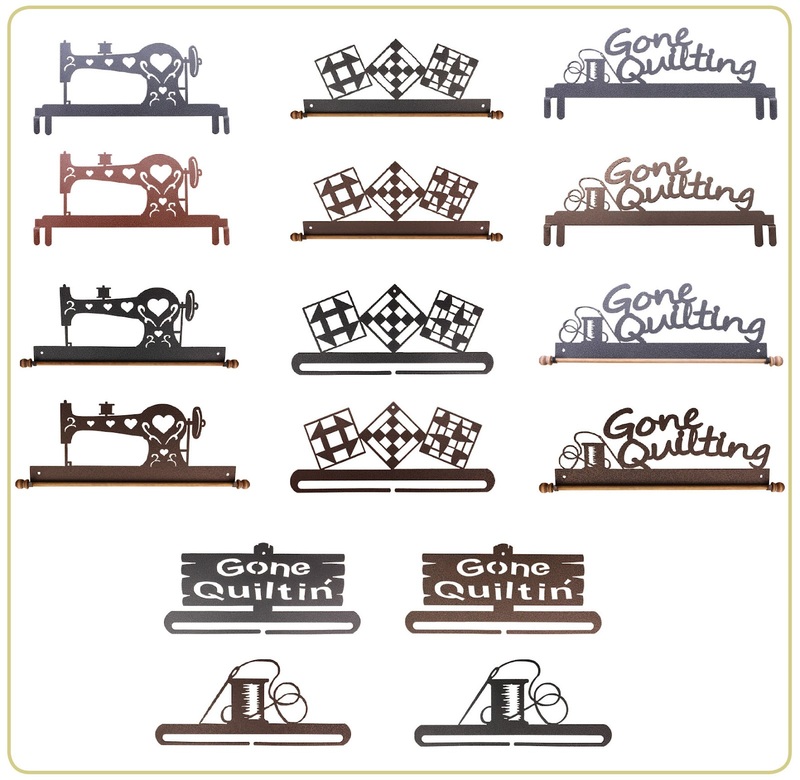 I love the Gone Quilting hanger and the quilt blocks hanger. I love all of them, but I think the black Sewing Machine, which reminds me of my Featherweights, is my favorite. I just bought two of these at a show and my favorite has a barn on it. Not pictured on the blog.